Boreal, or woodland, caribou are a threatened species in Canada’s boreal forests, due in large part to disruptions in their habitat by the forestry industry and roads. Canada's iconic boreal caribou population faces a troubled future, and the federal government is vowing to act unilaterally if provinces fail to agree on a credible effort to protect the threatened species. In a report Tuesday, Environment and Climate Change Canada said the 51 separate herds across the country remain under pressure from human and natural disturbances to their habitat more than five years after the federal and provincial governments concluded a protection agreement. "We have made some progress but not as much as we would like," Liberal MP Jonathan Wilkinson, the parliamentary secretary for Environment Canada who is spearheading the federal effort. "Populations of caribou continue to decline; disturbance of habitat continues to increase." The Species At Risk Act "requires the federal government to act," he said. The preferred route is through federal-provincial agreements, he added, but those deals would have to "have a scientific basis that will give us comfort that caribou populations will not only survive but recover." The range of the boreal caribou extends across the country from Yukon to Labrador, but its forest habitat has been increasingly disturbed by industrial activity such as forestry, mining and oil and gas development, as well as by forest fires, the spread of pests and other impacts of climate change. The caribou is a key species in Canada – an important part of the country's biodiversity and considered both sacred and a major resource for Indigenous people. Protecting its habitat would yield benefits for other boreal species, including several that are also listed as threatened. Much of that habitat exists on provincial Crown land that is also the traditional territory of Indigenous people who have constitutionally protected hunting rights and who demand a key role in any decisions impacting the species. In the assessment released Tuesday, Environment Canada said provincial actions were falling short of what is required to ensure the health of the boreal caribou species. Of 51 separate herds across the country, 20 have declined in the past five years, 10 were stable and governments had insufficient data to estimate numbers for the other 21 groups. Restoring caribou habitat will require a co-ordinated effort by federal and provincial governments as well as Indigenous people, scientists, industry and northern communities. However, industry officials argue habitat protection should not come at the expense of jobs in northern and rural communities. Under the federal law, Environment Minister Catherine McKenna must make a determination by April as to whether provincial efforts are sufficient to protect the caribou. If they are not, she must recommend to cabinet that Ottawa set its own rules, though cabinet has the option to accept or reject that recommendation. In a letter to federal and provincial ministers released Tuesday, Ontario Regional Chief Isadore Day insisted that no environmental policies impacting First Nations' traditional territory should be made without their full participation. He urged the ministers to make a greater effort to protect all endangered species "that are so important to our culture," including caribou. Environmental groups responded to Tuesday's report by urging the provinces to dramatically step up the pace of protection – including by reducing forestry, mining and oil and gas activity where habitats have been greatly impacted. The forestry sector – which is largely regulated by provincial governments – fears its access to wood resources will be curtailed under aggressive habitat-protection plans. The Forest Products Industry Association has argued that Ottawa needs to broaden its focus beyond human activity and consider environmental and climate impacts that are changing the nature of the boreal forest. "We can't have decisions being made on the ground that aren't based on comprehensive science, that at the end of the day might do nothing for caribou populations but would put thousands of people out of work," association president Derek Nighbor said Tuesday. Provincial governments say they are committed to working with Ottawa to protect the caribou while minimizing the impact on resource-sector jobs. The Ontario government was recently slammed by its Environmental Commissioner for its management of species at risk and its failure to expand the size of protected areas. In a statement, the Ministry of Natural Resources and Forests said the government will be "identifying next steps" after reviewing the report but it cited the 172,000 forestry-related jobs at stake. "Our ministry has been exploring possible solutions that protect species-at-risk and their habitat, minimize impacts on forest operations and wood supply, and provide economic opportunities for communities in Northern Ontario," the ministry said in an e-mailed statement. A spokesman for Alberta Environment Minister Shannon Phillips said the government is working on a "made-in-Alberta" plan that will demonstrate it commitment to "taking action to conserve this important and culturally significant species." He did not give a timeline for completing that work. Saskatchewan's Ministry of Environment submitted one range plan to Ottawa this week and will be finishing three others over the course of the next three years. It said in a statement that the caribou populations in the northern part of the province "are among the most sustainable in Canada." 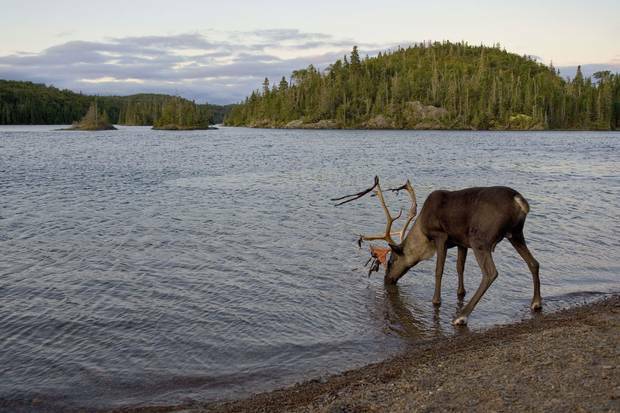 Ontario’s Slate Islands, an archipelago on Lake Superior, is a provincial park where boreal caribou have lived safe from predators for more than 100 years. Boreal caribou once roamed over half of Canada, but their territory has dwindled to wetlands and northern boreal forests that are mostly under provincial jurisdiction. shrunk considerably from its historic distribution. most of its critical habitat remains unprotected. 2003, most of its critical habitat remains unprotected. For Fiona Schmiegelow, a landscape ecologist with the University of Alberta, the penny dropped in the early 2000s when she first began to track caribou movement based on signals from radio collars and saw how they moved around human features on the landscape, such as roads, logged areas or seismic lines run through the forest for oil and gas exploration. The caribou were often close to these areas, and were sometimes observed crossing over them. But by looking at aerial maps, Dr. Schmiegelow saw that it wasn't because caribou weren't affected by these disturbances, as some imagined. It was because the disturbances were so widespread. "I realized the caribou have nowhere to go," she said. "They can't avoid these things any more." Fast forward 15 years and the situation for the forest-dwelling variety of caribou is no better and, in many regions, getting far worse, scientists say. The main culprit is the ongoing disturbance of the northern landscape. 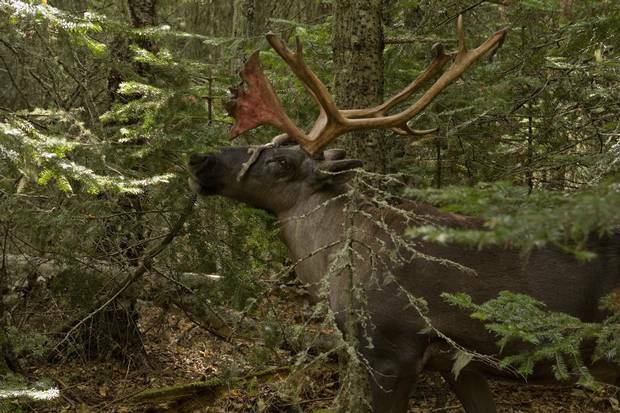 The lichen-rich, old-growth coniferous forests where boreal caribou live and can safely nurture their calves remain largely unprotected across Canada. In many areas, they are subject to increasing pressure from resource development. That puts the boreal caribou at the crossroads of the country's most defining and existential political challenges, caught between federal and provincial responsibilities and pitting species protection against the desire for economic development and jobs. For Indigenous communities, it is an animal of deep cultural significance whose future speaks to the wellbeing of traditional lands. As a long-awaited progress report from the federal government made clear on Tuesday, the boreal caribou are also in serious trouble. Across Canada, the species is showing no signs of improvement since 2012, when Ottawa issued its recovery strategy, and definitely not since 2003, when boreal caribou were first listed as threatened under Canada'a then-new Species At Risk Act. Over the past five years, provincial and territorial governments were required to produce implementation plans to put the recovery strategy into effect. What the progress report shows is how little has been accomplished in that time. "There is no doubt. Things are not going well and the provinces and territories are just not getting it done," said Anna Baggio, director of conservation planning for the Canadian Parks and Wilderness Society's Wildlands League. Most of the critical habitat where the caribou live is unprotected, the group found in a recent assessment. This has proved devastating for a creature that is more vulnerable than most to the changes currently underway across the vast arc of northern woodland that stretches from Yukon to Labrador and it underscores why landscape disturbance is such a big problem. It's not simply that caribou lose territory when forests are cut or resource exploration is allowed. Such incursions replace old forest with younger, less-dense growth that is appealing to deer and moose. As these animals move in, they draw predators along, including wolves, bears and coyotes, depending on the region. Those predators will then have increased access to caribou in places where caribou were formerly too thin on the ground to support a large predator population. In a recent study conducted near logged areas, biologist Martin-Hugues St-Laurent at the University of Quebec at Rimouski showed that half of caribou calves under one month old were succumbing to predators, a statistic with serious long-term implications for the entire population. "If you are removing 50 per cent of the calves in the first weeks of life then you don't have a chance to replace older, adult animals that are dying each year," he said. Dr. St-Laurent added that rescuing the caribou would likely require new approaches, potentially allowing development in areas of the forest where caribou have disappeared while imposing far stricter rules in places where they still exist in viable numbers. In 2012, the federal strategy placed the total number of boreal caribou across Canada at 34,000. By now, scientists say there are certainly far fewer, but exactly how many fewer is not clear since the caribou live in small, isolated herds that are hard to spot. Other factors are also contributing to their decline, including disease, climate change, and increasing forest fires. This observation has become ammunition for the Forest Products Association of Canada, which says that scientists have been laying too much of the problem at industry's doorstep. 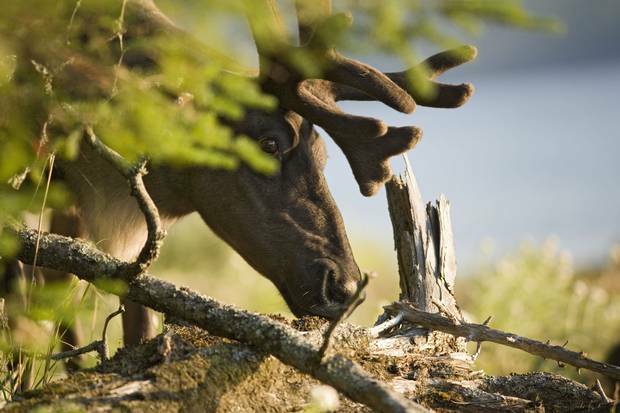 Citing the socio-economic impact of restrictions on forest use, the association lobbied the federal government in August to hold back from pressuring the provinces to act on boreal caribou recovery "with undue haste", until the science is better understood. Alarmed scientists responded with a detailed rebuttal to Environment Minister Catherine McKenna and Natural Resources Minister James Carr. Calling the association's portrayal of the science "disingenuous", Chris Johnson, an ecologist at the University of Northern British Columbia who participated in the response, said that tens of millions of dollars have already been spent to establish that boreal caribou are at risk and that reducing disturbance is the only alternative. "The longer we wait, the harder it is to recover," he added. And as caribou populations shrink, saving them will require major interventions, such as predator control, captive breeding programs and penning entire populations. "Those are all incredibly expensive and there's no guarantee of success," Dr. Johnson said. The state of caribou protection has also frustrated First Nations group, who lament piecemeal decisions based on specific resource projects while broader range plans have yet to be completed. "Having more co-ordinated development would really make a difference," said Katherine Capot-Blanc, acting director of land and resources for the Fort Nelson First Nations in British Columbia, which recently produced its own science-backed caribou action plan in the face of provincial delays. Justina Ray, president and senior scientist with the Wildlife Conservation Society of Canada, said that the federal progress report released Tuesday could have taken a harder line, but at least it sets a six-month timeline for Ottawa to take steps to accelerate action. "This really speaks to where we are as a country right now and our choice of pathways forward," Dr. Schmiegelow added. "As we develop further north in Canada, can we be more innovative? That's what the caribou challenge us with." 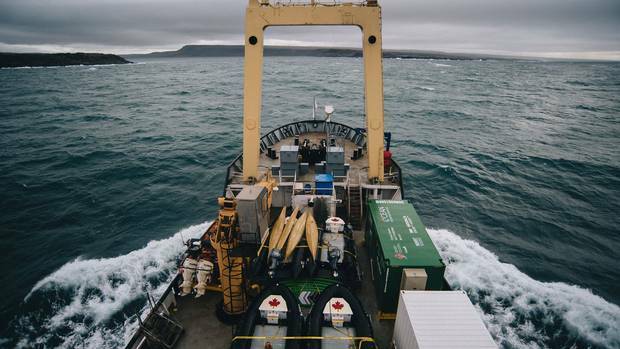 Invaders in the Arctic: How ships and climate change are bringing strange species to Nunavut As higher temperatures proliferate in the Arctic, scientists have begun to notice signs of encroaching species from warmer climes. The race is on to document what’s moving north and how to deal with it, Ivan Semeniuk explains. 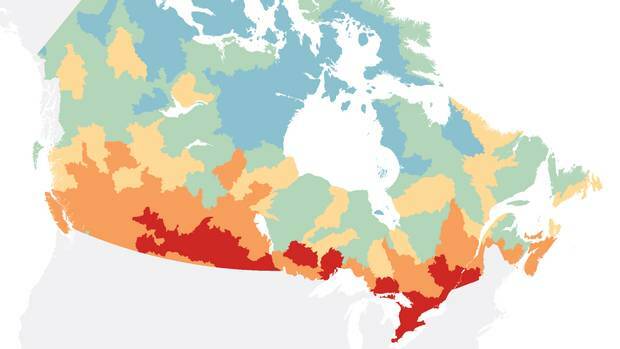 Charting Canada’s troubled waters: Where the danger lies for watersheds nationwide A comprehensive review of Canada’s freshwater ecosystems reveals rising threats from pollution, overuse, invasive species and climate change among other problems, Ivan Semeniuk reports. 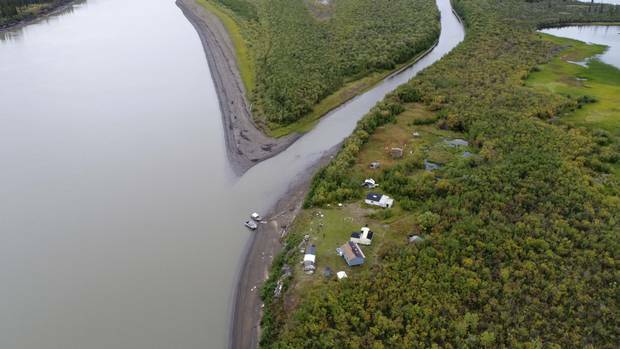 Indigenous knowledge paints portrait of transformation in the Mackenzie River basin A sweeping survey of traditional knowledge from the Mackenzie basin reveals Canada's largest watershed in the midst of a rapid and uncertain transformation, Ivan Semeniuk writes.